Preheat a char grill pan over high heat, then cook skewers, turning and basting occasionally, until cooked through (6-7 minutes). 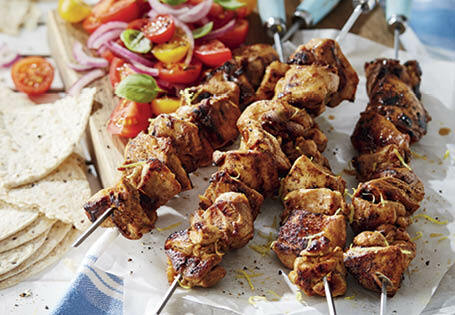 Note: Use wooden skewers if metal ones are unavailable. Soak them in water for 30 minutes to prevent them from burning.